Melike Erol-Kantarci is a tenure-track Assistant Professor at the School of Electrical Engineering and Computer Science at the University of Ottawa. She is the founding director of the Networked Systems and Communications Research (NETCORE) laboratory. She is also a courtesy assistant professor at the Department of Electrical and Computer Engineering at Clarkson University, Potsdam, NY. 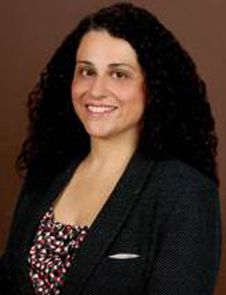 Prior to joining University of Ottawa, Dr. Melike Erol-Kantarci was a tenure-track assistant professor at the Department of Electrical and Computer Engineering at Clarkson University. She has over 90 peer-reviewed publications. Her scientific works have been cited over 2000 times and she has an h-index of 24. She is the co-editor of the book “Smart Grid: Networking, Data Management, and Business Models”. Her articles are continuously among the top cited and top accessed papers on IEEE and Elsevier databases. She is a senior member of the IEEE and the past vice-chair for Women in Engineering (WIE) at the IEEE Ottawa Section. She is currently the vice-chair of Green Smart Grid Communications special interest group of IEEE Technical Committee on Green Communications and Computing. She is also the research group leader for IEEE Smart Grid and Big Data Standardization.